onwards - Important Instructions for the preparation of Nominal Rolls and feeding the data through Online and submission of the same to the District Educational Officers concerned for onward submission 10 the Office of the Director of Government Examinations, AP., Vijayawada - Issued- Reg. 2019 are conducted in CCE (Continuous and Comprehensive Evaluation) Pattern and the data for registration of SSC Exams from the forwarding schools will be received online. The online data has to be fed through internet by logging through user id and password as per Childinfo provided to the Head masters concerned. 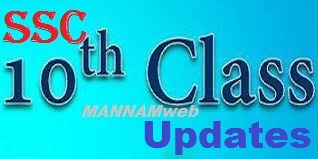 SSC Annual Exams - Moles For SSC Students To Write Nominal Rolls.